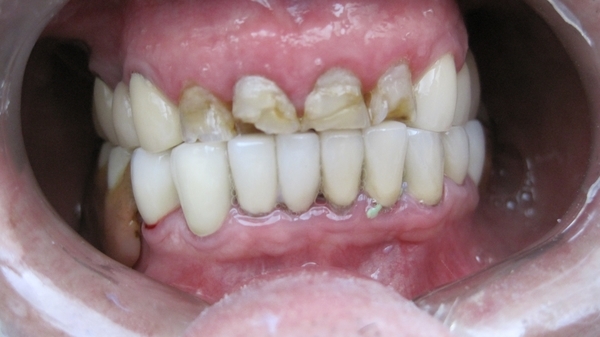 76 years old female patient with brocken/ discolored and sensitive teeth due to bruxisum( grinding ) and large fillings. 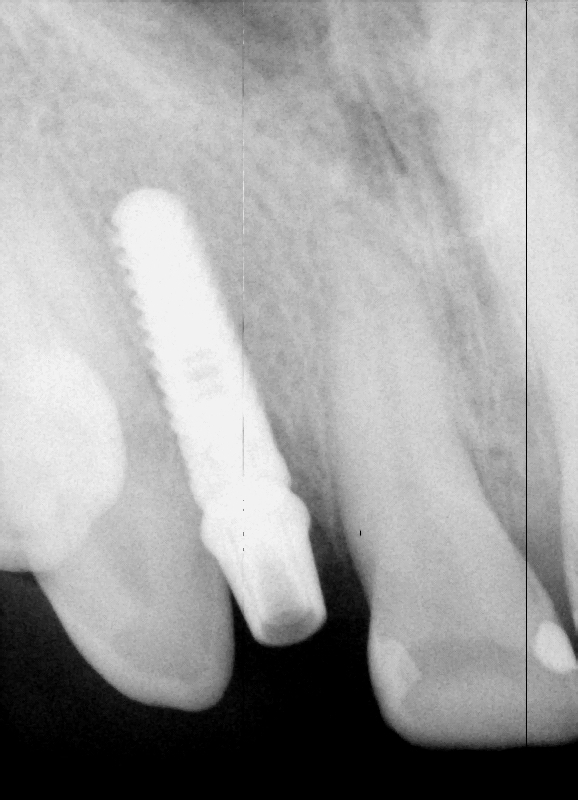 treated with 14 crowns and night guard. 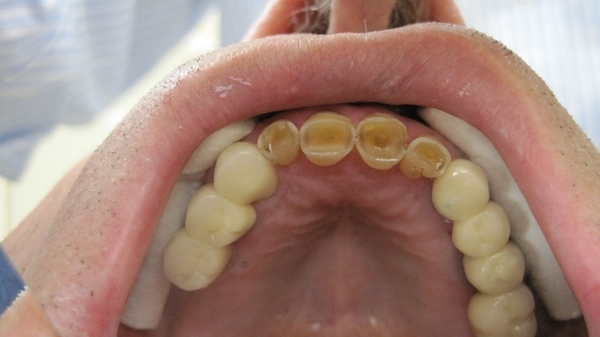 48 YEARS OLD PATIENT WITH LARGE DIASTEMA AND PROTRUDED AND ELONGATED UPPER FRONT TEETH . IN ORDER TO GET EXCELLENT RESULT PATEINT WAS ADVISED TO CORRECT THE BIT AND THE DIASTEMA WITH BRACES FIRST THAN FINALIZED THE TREATMENT WITH VENEERS. UNFORTUNATELY SHE DECIDED NOT TO GO WITH BRACES . TWO CROWNS AND FOUR VENEERS WERE PLACED. 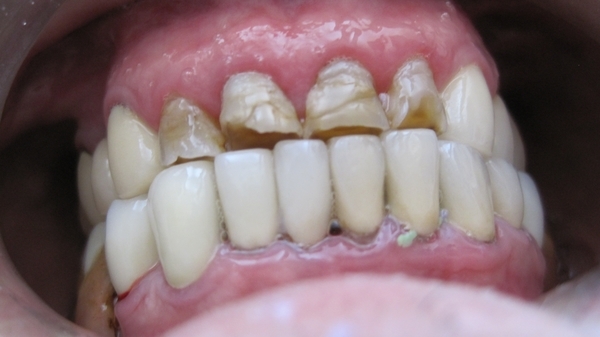 40 YEARS OLD PATIENT WITH BROKEN TOOTH NUMBER 7,PERIODONTITIS ( GUM DISEASE ) DUE TO LOTS OF BUILD UP , SMOKING USW. AFTER EXTRACTING THE ROOT AN IMPLANT WAS PLACED immediately, FOLLOWING DEEP CLEANING CROWNS AND VENEERS. 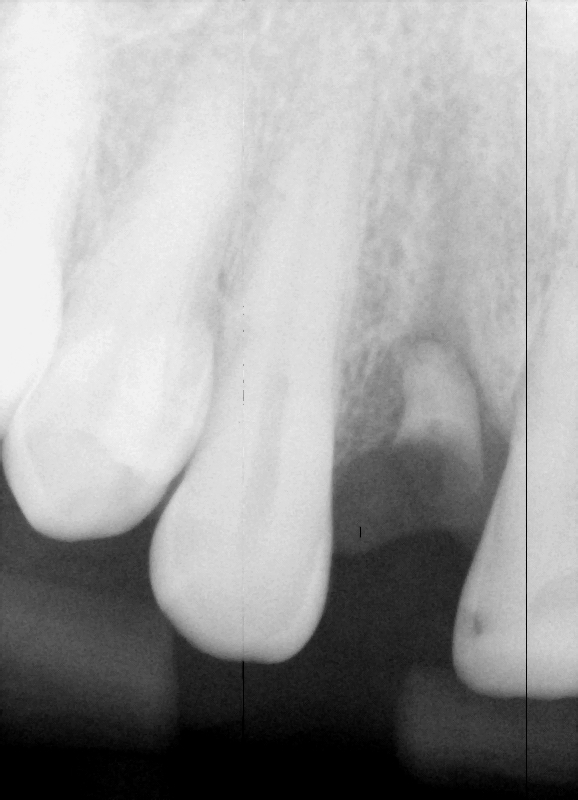 CROWN, CROWDING AND PROTRUDET TEETH ( # 8 & 9 ).